Gold Prices Luring the Masses into this Classic "Bear Trap"? 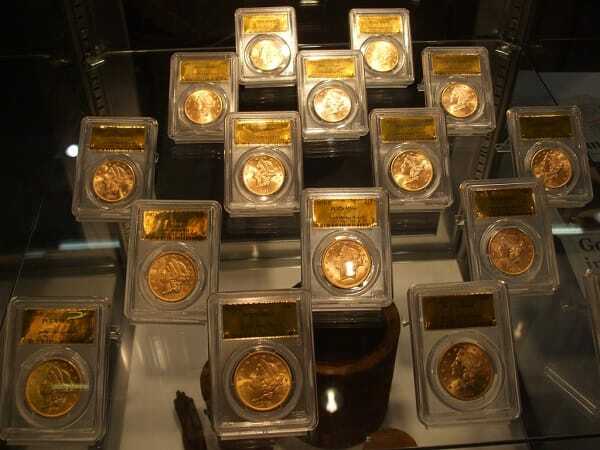 Home » Are Gold Prices Luring the Masses into this Classic “Bear Trap”? Are Gold Prices Luring the Masses into this Classic “Bear Trap”? Despite gold’s recent drop in price, one analyst cautions against getting lost in the negative hype, and explains why now could be a great time to buy. With gold and silver prices hitting recent lows, could now actually be the time to buy? Writing on TheStreet, Ken Goldberg warns readers against siding with those who are getting caught up in a “bear trap”, and explains how we can avoid making the same mistakes. From 2008 to 2011, gold went from roughly $600 to almost $1,920 an ounce. Yet gold’s current low – over $400 higher than the low from 2008 – is filling some with anxiety, in part thanks to chaos in the global market. Some are forecasting a decade-long bearish cycle for gold, but what’s the reasoning behind these predictions? Goldberg believes that gold’s current price sets it up for what he calls a “huge bullish divergence”. He doesn’t believe that gold will go much lower, but is instead set for a major upswing in the next few years with prices bound to blow past $1,500. His stance is backed by a tool he has developed, dubbed the Decision Support Engine, which not only signals a call to buy gold but also does not suggest selling of any kind – yet, few are paying attention. “Unfortunately, the crowd is in panic mode, and investors typically make emotional/subjective decisions when conditions are like this,” he notes. Goldberg also points to a well-established trend throughout history: When the crowd takes on an increasingly negative view of an asset that’s been on a downturn, it’s often a sign that it will soon swing back the other way. Indeed, despite gold’s downswing for some years, the masses are using some recent unfavorable events to justify their liquidation of gold. The worst part is that there’s barely any relation between these events and precious metals in and of themselves. For example, a recent increase of gold sales in China are happening because investors need to liquidate some of their assets since stocks have been ‘frozen’; gold’s actual standing has little to do with it. Goldberg believes that most people out there won’t finally come to their senses until gold reaches about $1,625 “in coming years” – but by then, they will have missed most if not all of the gold and silver rally. Did you know we have full accreditation with the Better Business Bureau? See our profile and A+ rating with the BBB here.